Italian Gov't bids farewell to Kuwait's outgoing amb. Italian PM: Praises Ambassador Al-Khalid's role and sincere efforts in consolidating the Italian-Kuwaiti friendship and cooperation relations at various levels. 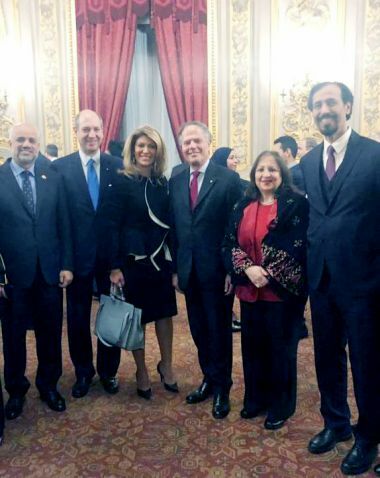 ROME-- The Italian government and the diplomatic corps in Rome have bid farewell to outgoing Kuwaiti Ambassador and Dean of the Gulf Diplomatic Corps Sheikh Ali Khaled Al-Jaber Al-Sabah on the occasion of ending his tenure and to his role in promoting bilateral relations in various fields. The Kuwaiti embassy in Rome said in a statement that the Foreign Ministry held a special dinner in honor of Sheikh Ali which was attended by a number of senior diplomats last night. Ambassador Al-Khalid received a special message from Italian Prime Minister Giuseppe Conte, expressing his high appreciation to his role, lauding his distinguished role and sincere efforts in consolidating the Italian-Kuwaiti friendship and cooperation relations at various levels. 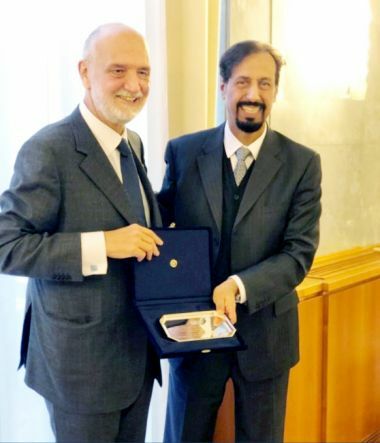 The Kuwaiti diplomat thanked the Italian government for the hospitality extended to him during his stay in Italy which reflected the deep-rooted ties between the two countries.